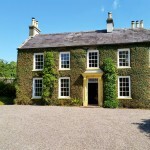 Places to Stay | Co. Down, Northern Ireland. 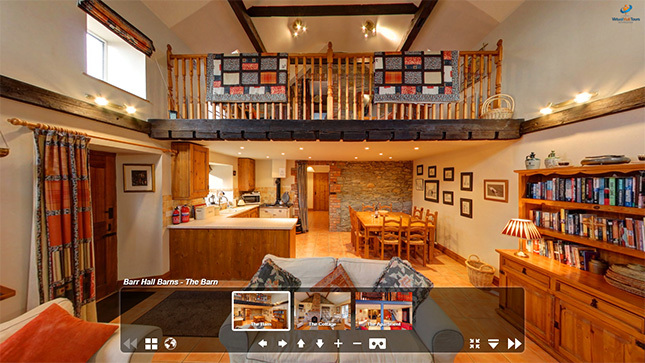 Barr Hall Barns offer self catering accommodation in Co Down, located on the southern tip of the Ards Peninsula, 3.5 miles south of Portaferry situated on Barr Hall Bay, a seal basking location protected by the National Trust. The Barn overlooks the Narrows and the Barmouth with its turbulent waters that prompted the Viking invaders to name it the Strang Fjiord. 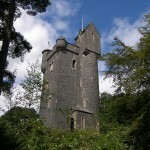 The Lough is a site of Special Scientific Interest and of Outstanding Natural Beauty. 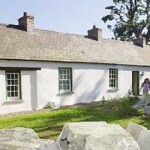 On the other side lies the Lecale area and views from the site stretch to the Mourne Mountains. The Barn. 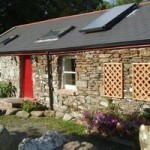 4 star rated self catering accommodation. Built in early 18th century The Barn has been completely renovated. It comprises two storeys, three bedrooms, with an internal balcony overlooking the lounge area. There are facilities for the disabled, wheelchair access and a downstairs bedroom with two single beds and adjacent disabled shower room. The ground floor is tiled throughout for easy movement. Upstairs are two further bedrooms one with a double bed and the other with two single beds. There is a bed settee on the open gallery area if additional sleeping accommodation is needed. There is a bathroom upstairs. Many of the original beams and stonework have been preserved in the renovation. The Cottage. 4 star rated self catering accommodation. Originally built as a cottage and more recently used as a granary this is a centrally heated, single storey renovated stone barn with two bedrooms. One has a double bed and the other two single beds. There is a shower/bathroom. The kitchen/dining room is open-plan with beamed ceilings and has an Esse oil-fired cooking stove, microwave, fridge and dishwasher. The lounge/living room has a separate traditional black cast-iron enclosed gas fire and colour TV/video. The Apartment. 3 star loft style conversion sleeping two. This renovated stone barn is modelled on a New York loft conversion idea with open beams being retained where possible. It is centrally heated. Downstairs there is a kitchen, dining and living area with an Esse oil-fired cooking stove, microwave, fridge and also a traditional black cast-iron enclosed gas fire. It is equipped with a colour TV/video. Upstairs there is shower room and an open balcony bedroom with two single beds. 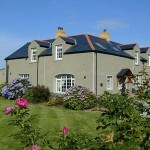 If looking for a place to stay in County Down we would thoroughly recommend this self catering accommodation. Thank for your comment. We don’t hold booking info on this website. Please email the property directly and they will be able to help. There is a number and email address above. I am interested in staying at the barn next summer. (2019) Would like to know what dates you have available.